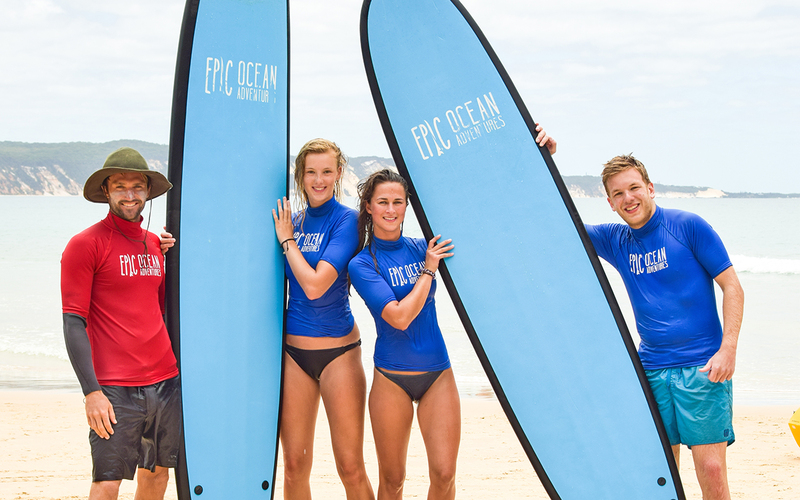 Noosa surf lessons with Epic Ocean Adventures are an exclusive National Park surf adventure at Double Island Point, home of Australia’s longest and safest wave. This right hand sandy point break has rides on it’s best days well over 1km long in the pristine tropical water within the Great Sandy Marine Park. 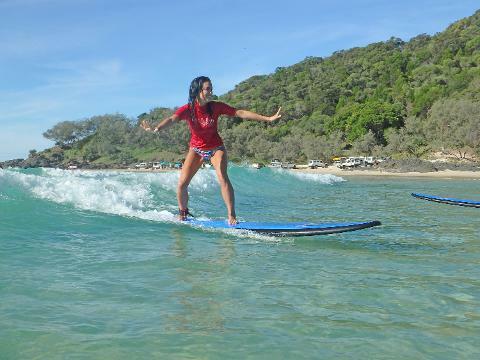 The exclusive Noosa surf lesson adventure takes you away from the surfing crowds by 4X4 along Teewah Beach and is ideal for all levels and ages from 7 years up. Experience surfing on super fun long waves in a pristine National Park with friends and family that will make your progression rewarding and fast. 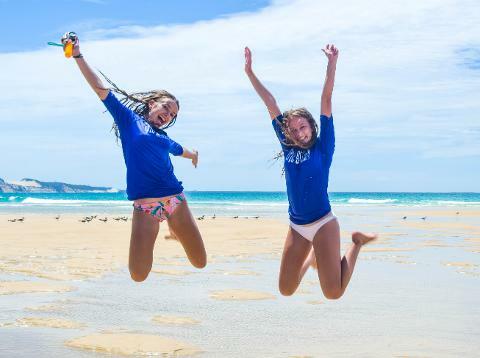 Our thrilling surf lessons from Noosa to Double Island Point is only accessible by 4X4 vehicles through the Great Sandy National Park. 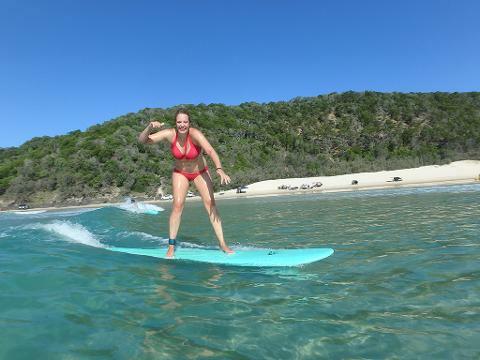 Join us on a unique beach 4X4 surf lesson adventure from Noosa North Shore, along the spectacular Teewah Beach to Double Island Point. This incredible National Park surf location features a pristine headland and a long sandy point break with waves that seem to go forever and one of the easiest most satisfying waves you can ever experience a surf lesson on. 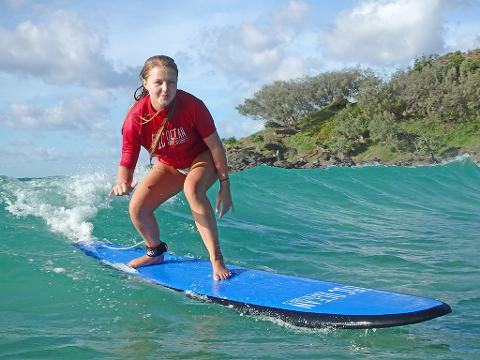 We often have complete beginners riding waves for 100’s of meters long on their first learn to surf lesson. Australia's longest wave breaking on its best days well over a kilometer long. Safe surf location with beginners riding waves 100’s of meters long. Double Island Point > Pristine National Park surfing paradise. Waist deep, super long sandy point break. Australia’s best kept wave secret > location only accessible by 4X4 vehicles along the beach at low tide. Expert instruction with small group to surf instructor ratio's. Uncrowded Marine Park surfing experience. Get the chance to surf with dolphins. 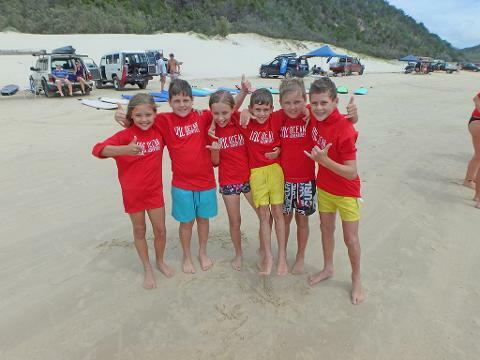 Guarantee stand up on your first Noosa surf lesson or your next surf lesson free*. 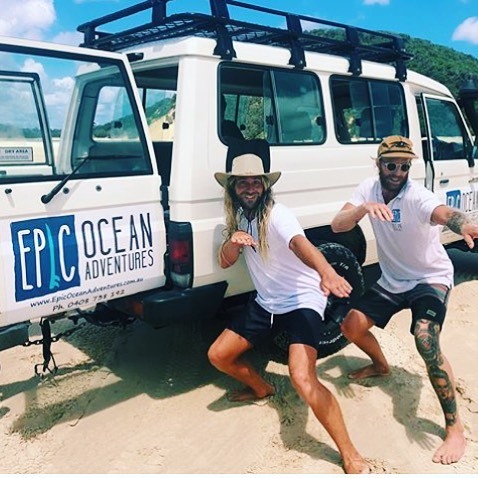 What's included: 4X4 Surf adventure, equipment (specilised softboards, wetsuit/wetshirt), surf instruction, National Park entry fees, Noosa North Shore ferry fees, light snacks & refreshments, pictures on request. What to bring: Please bring what you would usually bring to the beach e.g: towel, sunscreen, water, camera, snacks, change of clothes. 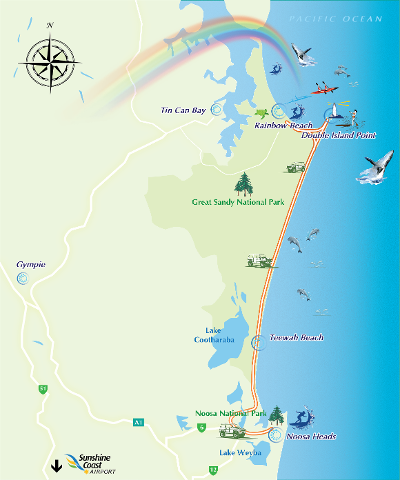 Depart Noosa in specialised 4X4 vehicles from pick up points. 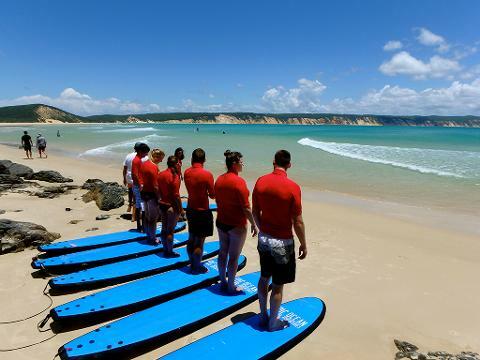 Arrive at a National Park surfing paradise – Double Island Point. 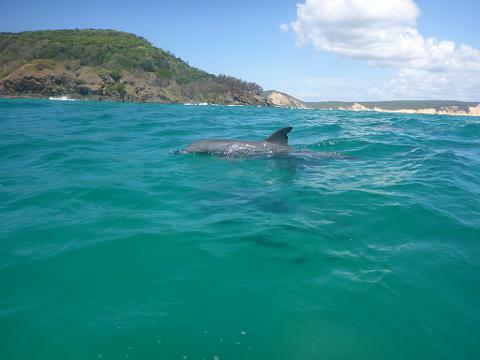 See many different wildlife whilst surfing including Bottlenose dolphins, Humpback whales, turtles, rays and more. Return trip along spectacular Teewah Beach by 4X4 back to Noosa.